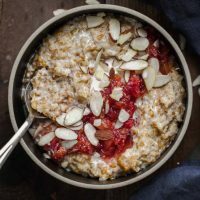 Cracked Einkorn Porridge with Stewed Blood Oranges | Naturally. Having grains in your pantry gives you an arsenal of ingredients to use. One grain can be used in many different forms. For example, einkorn is a delightfully chewy whole grain that also makes a beautiful wheat flour. However, I like the in-between state. A state where the whole grain is pulsed in a high-speed blender until the majority of grains have cracked, like in this cracked einkorn porridge. The cracked grains bring the texture while the flour helps thicken the porridge. I use a similar technique to make polenta out of millet. Master cracking grains at home and you can have endless breakfast porridges. A beautiful and delicious breakfast featuring cracked einkorn paired with an easy blood orange topping, almonds, and cream. Pulse the einkorn three or four times in a high-speed blender or food processor. Just enough to crack the einkorn into smaller pieces. In a medium pot, melt the butter then add the einkorn. Stir to coat and toast the einkorn for a minute or so. 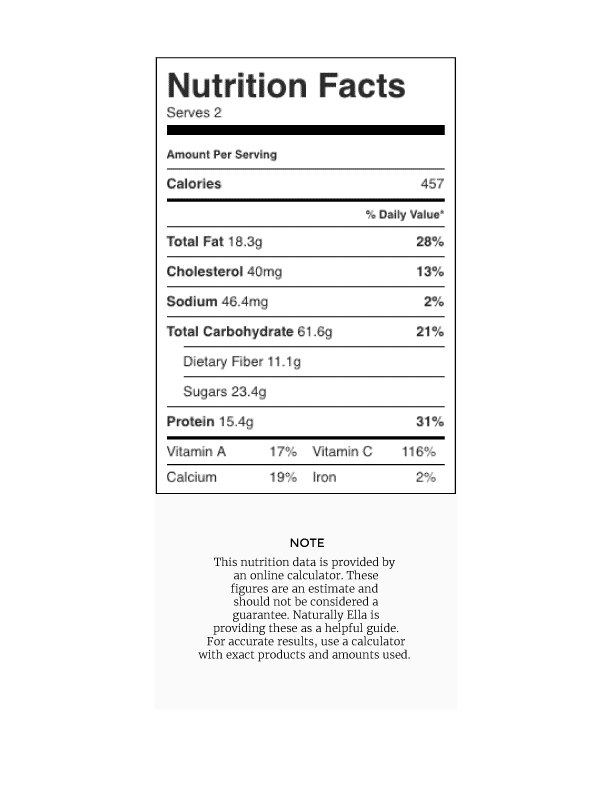 Pour in the milk and ½ cup of water. Bring to a boil, cover, reduce to a simmer, and cook until the einkorn is tender (see note) and thick, 30 to 35 minutes. If the einkorn has absorbed most of the liquid and is not done, add more water as needed. While the porridge is cooking, peel and segment the blood oranges (see note). Combine in a small sauce pan with maple syrup and a tablespoon or so of water. Simmer until the oranges breakdown and the mixture thickens slightly, roughly 5 minutes. 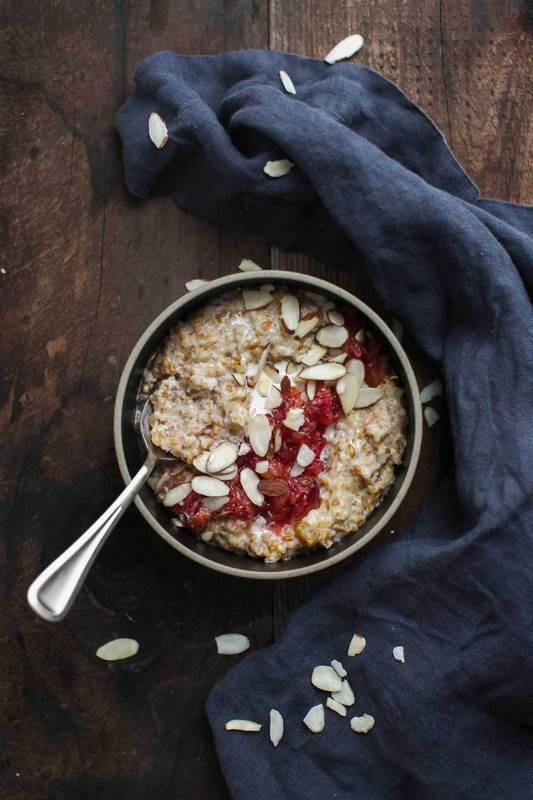 Divide the cooked einkorn porridge into two bowls and top with blood orange mixture, almond slices, and a drizzle of heavy cream. 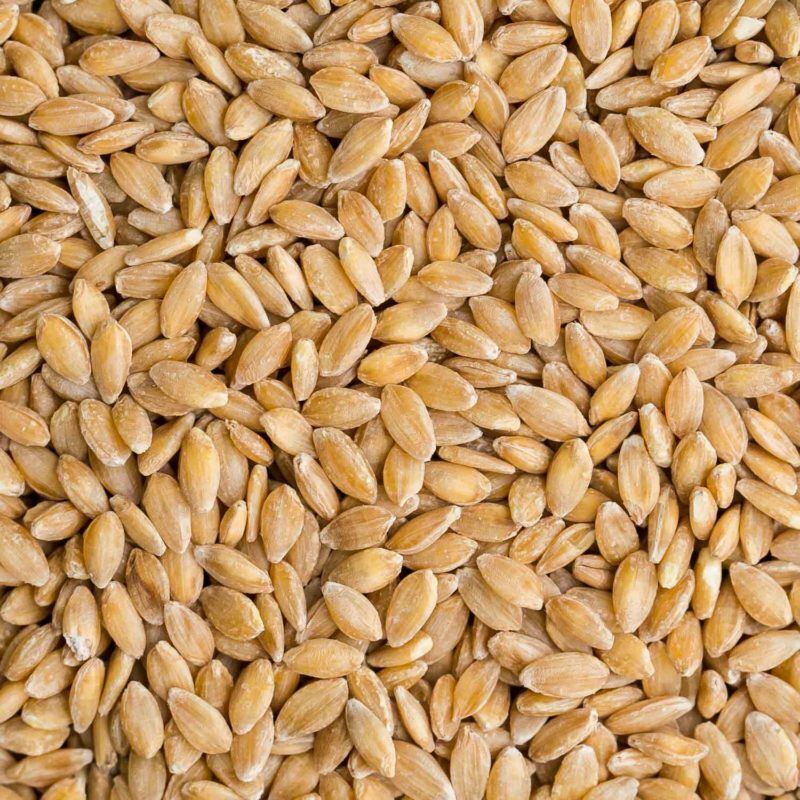 Tips & Tricks: Einkorn is a wheat berry which means that even when tender, the grain will still have a slight chew to it. For segmenting the blood orange, I use the same method as I would for a grapefruit. You can see an example of that here. Once you figure out the base of the porridge, the exciting part comes with the toppings and add-ins. Experiment with different fruit, spices, and/or nuts. You can also use grain porridges for savory toppings like this steel cut oat bowl. 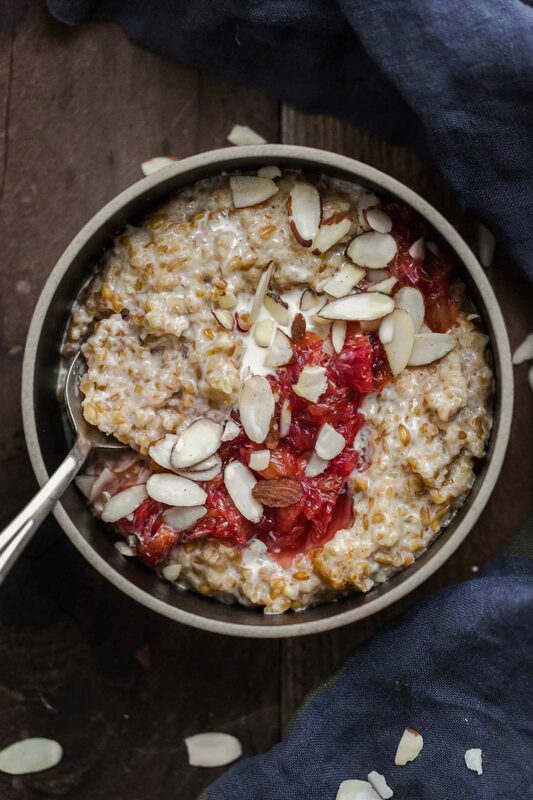 Flavors: You can add your favorite flavors to the einkorn porridge. I like to sauté a bit of fresh ginger with the butter and einkorn. Cinnamon, nutmeg, and cloves would also make a nice addition to the blood orange mixture. Grains: Cracked emmer, spelt, and millet make for wonderful breakfast porridges. You really can’t go wrong with whole grains and porridges. Vegan: Toast the einkorn in a try skillet and use your favorite dairy-free milk. I love this porridge made with unsweetened almond milk. There are so many different grains, and varieties of wheat, that I’m always switching up what I keep stocked in my pantry. Einkorn is such a wonderful grain that has a warm, buttery flavor. I find myself reaching for the flour more often than the whole grains but each has a place in my recipes. Very tasty looking breakfast! I never heard of einkorn. I want to try it!